Children and adults alike enjoy homemade candles. The modern-day twist of using a slow cooker to made candle making quite easy. 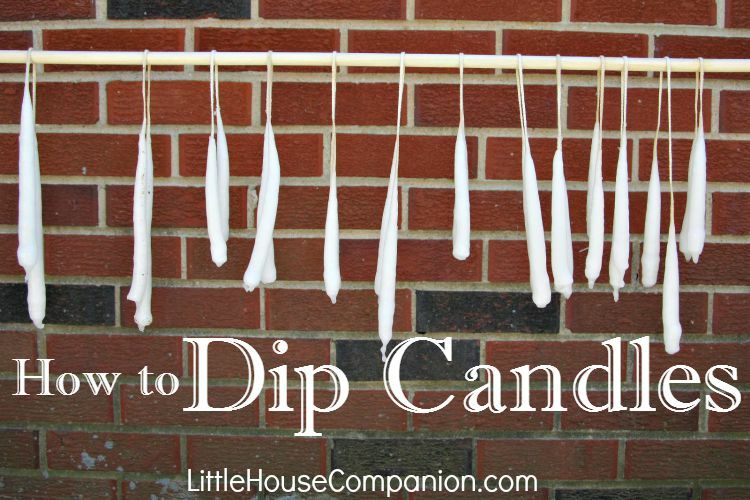 If you've ever wanted to make candles with a group, this is the way to do it. Please note: You need enough wax to mostly fill the slow cooker. Mine took five pounds of wax. Place the wax in the slow cooker. Place the lid on the slow cooker and turn on low or high. Use caution and common sense. Do not leave the wax unattended. Wax is a highly flammable substance. Each slow cooker is different; it may take two to three hours for the wax to melt on high or low. Let wax cool slightly. I allowed the five pounds of wax to cool for about an hour before we actually dipped the candles. It had not begun to solidify, just cool. Cooler wax is safer for children to dip candles. Cut candle wicking to length. Each piece makes two candles. Twelve or more inches may be a good length. Place candle wicking around middle and ring fingers as seen in the photo above. Adjust wicking so even lengths hang. Hold it in place with other fingers. Keeping fingers parallel to the ground (and wax), carefully and quickly dip the candle wicking into the wax. Next, place the candle in the cold water. Dip into wax again and then the water. Repeat until candle is near appropriate size. Use the scissors to cut the bottom half inch from each candle. Dip one or two additional times. To light the candles, cut into two separate candles and trim wicks. Place in candleholder and light. Please note: You can also melt wax in a double-boiler. 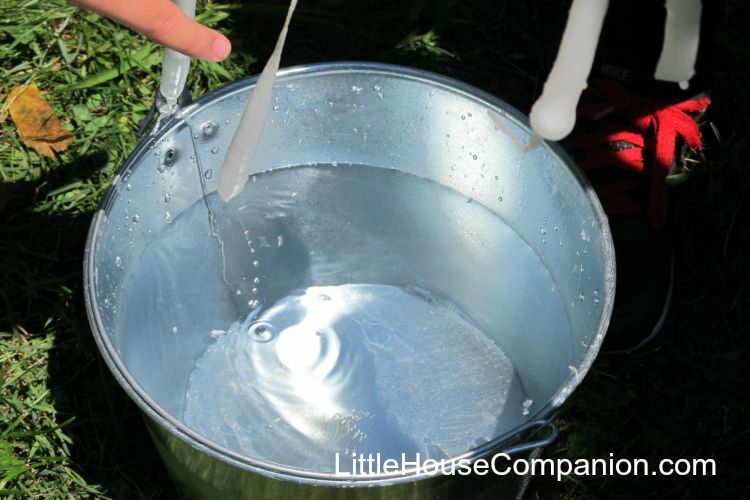 Consider using a large aluminum can to hold the wax and an old pot to hold the water and can. Use caution when wax is on the stove. Do not dip candles directly on the stove. 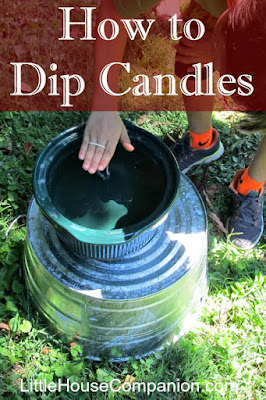 The children loved dipping candles. Despite their excitement, they were able to use great self-control. They understood the importance of safety while they made candles and did not want to miss out on such a great opportunity.